There are a lot of people who still believe that social media is a waste of time when it comes to marketing. At the same time, there are a lot of people who can share their successful stories of effective social media marketing. Both of these parties are right to some extent. It all depends on your industry, your target audience and your overall strategy. However, when it comes to devising a B2B sales and marketing strategy, visual content is always a good choice. And, considering that social media is based on visual content, it may already be regarded as a proven effective channel that can boost sales, grow brand awareness or solidify commercial relationships. Today, we’re going to talk a little bit about a particular social media channel, Instagram, and how to use it as an effective means to increase B2B sales. Check out our infographic summary of this post below. Or click here to skip ahead and read a detailed explanation of each step. 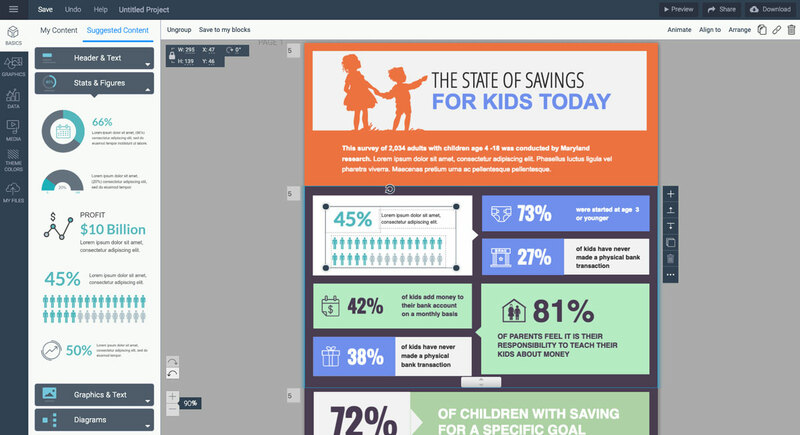 Want to create your own engaging infographic? There are over one billion people who use Instagram and half of them check their profiles every day. For a B2B business, this number may seem unimportant considering the targeted demographic. But, we found out that half of the companies with 100 or more employees are using this platform and 200 million users are visiting at least one business profile every day. 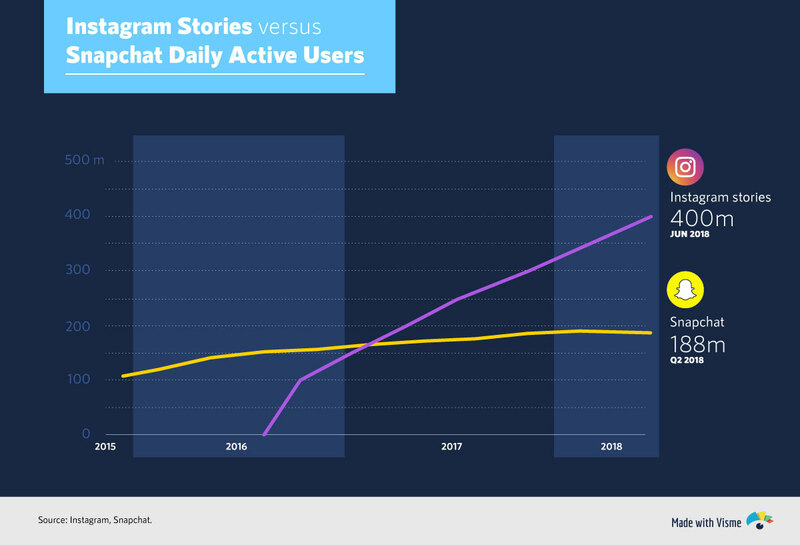 These numbers mean two things: First, we learn that Instagram is a great place for a company that wants to market its brand or products on a social media platform. Secondly, we’ve also learned that there are a lot of opportunities out there for a B2B company and marketers should use them in order for their messages to be heard and received by their targeted recipients. So, now that we’ve made it clear that Instagram is at least worthy of being tried as a marketing channel, what can you do? How can you use it as a successful marketing channel to increase B2B sales? Maybe you already have an Instagram account and there are good chances you do. However, in order to make your marketing strategy worthwhile, you need a business account. Creating a business account on Instagram is free. You need it because unlike regular accounts, it will give you access to thorough analytics to measure your metrics and, of course, your success rate. How do you create a business account? Step 1: Download the app if you don’t already use it. Launch it and sign up. You can do this easily if you have a Facebook account and sign in with it. Step 2: Set up your free business account. Launch the app and once you are there, find the Setting section and scroll down until you find the “Switch to Business Account” option. Once the switch is completed, you will be able to update your account with useful information such as business hours, business address or phone number. Step 3: Post, comment and follow users and get new followers just like you have already done with your personal profile. Access to analytics. Get real time metrics and monitor your daily performance for all types of posts you publish via Instagram. Get insights into your audience/followers and find out how to adapt your strategy based on how they interact with your posts and stories published. Add information about your company. Make it accessible to the audience by adding your business hours, location and phone numbers. 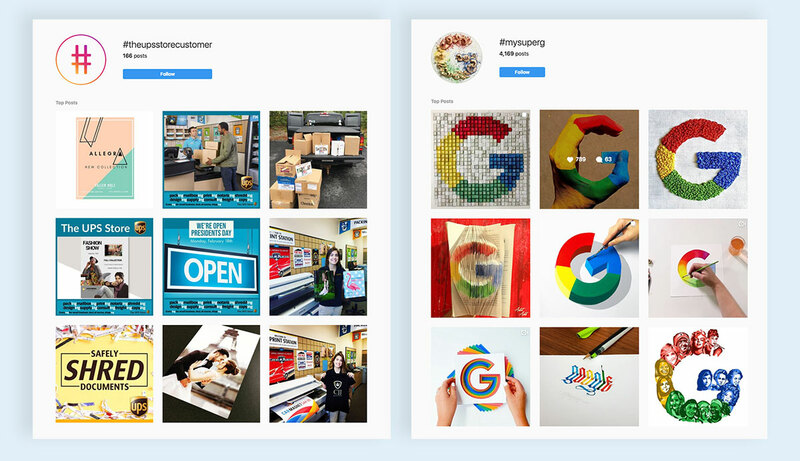 Now that we’re done with the preliminary processes, let’s discuss our main theme of today: How can you use Instagram in order to increase B2B sales? 1 Offer insight into your company’s values and culture. Whether your followers are regular Instagram users or individuals representing another company, they will all want to see who you are and what you have to offer in terms of corporate values and culture before buying your products. What are your employees like? A good example in this case comes from Adobe. The company that brought us some of the best design software really knows how to advertise themselves on Instagram. 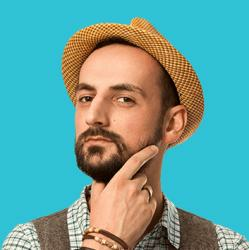 Branded content is always a good choice when it comes to B2B sales and marketing in general. Why? Because you need to be clear about who you are and make yourself visible to the audience using everything you have. Visual imagery and visual data are two of the most important assets in this case. You can use almost anything, starting with the logo, the most well-known visuals and, of course, your branded colors and designs. Take, for example, MailChimp. Everything is branded there, starting with the colors and up to the graphics. This may not immediately sell their services, but most certainly, it would create awareness and a steady pool of followers which in turn may lead to that sale increase we are all aiming at. 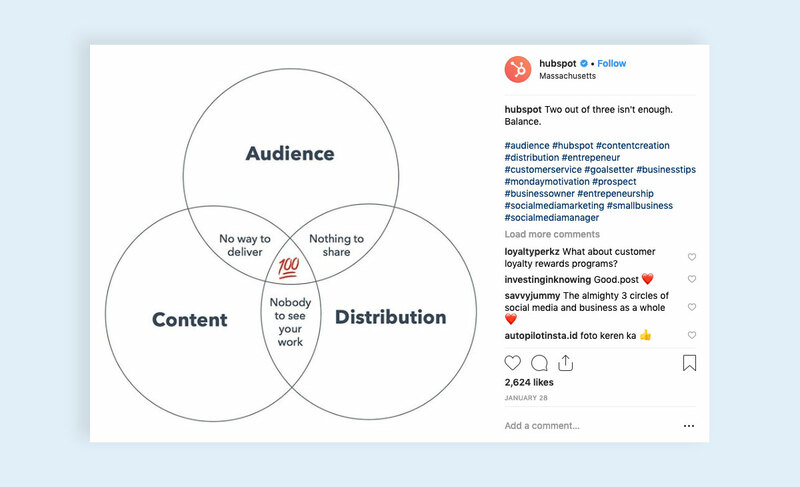 Finally, we can take a look at HubSpot as well, another company that manages to successfully use Instagram in order to sell their products. They try to educate the community through their Instagram posts and it seems they are doing it right. Finally, considering that almost half of the posts that are published on Instagram use emoji to convey messages and emotion, this is yet another option you can take a look at in order to brand your content. 3 Make it look professional. Learn to design professionally. This is a process that will take a lot of time and resources, but may be a worthy investment, depending on your long-term goals. Hire a professional designer. This is the easy way out, but not the cheapest of them, though. 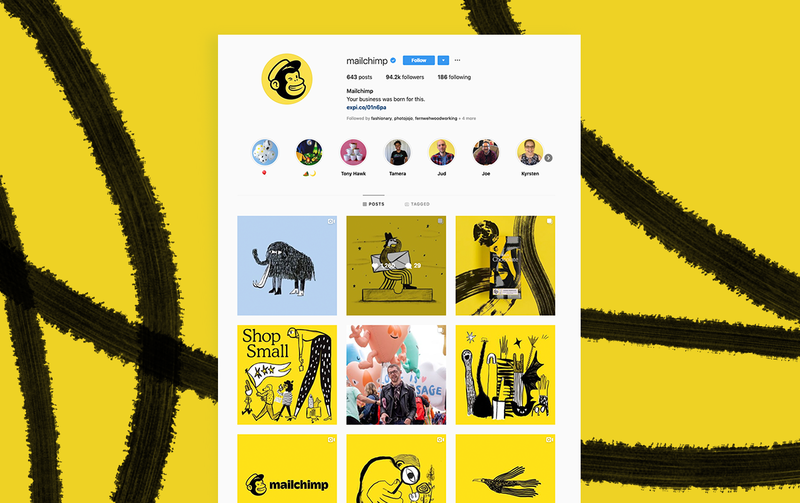 You can find professional designers easily on Dribble, Behance and, why not, Instagram. Use professional tools that are easy to use for marketers, such as Visme or Bannersnack. The costs are minimal but the benefits are many. I usually work with both and my choices depend mostly on the type of content I need to create. Visme will allow you to create all types of graphics with a wider range of choices, including infographics and presentations, not to mention Venn diagrams and flowcharts. You can choose the one that best fits your style and needs and use it right away. Visme allows you to create square infographics for Instagram. 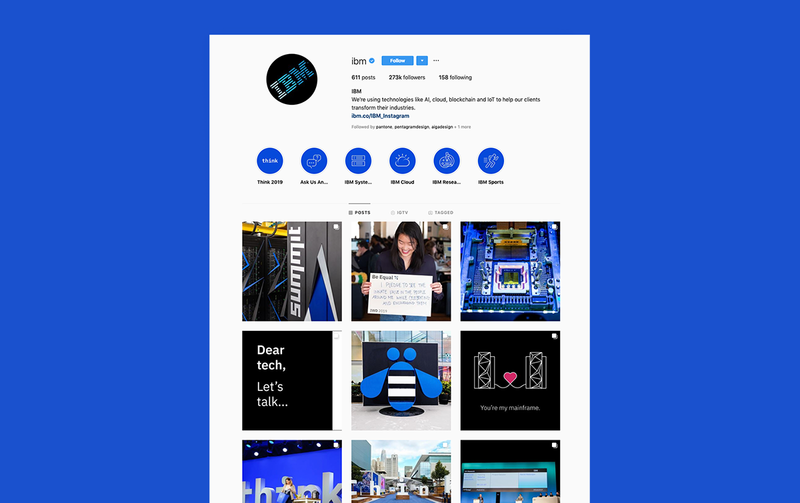 If you are not limited to Instagram, Bannersnack’s generator would be a good choice because it allows you to create a series of visuals for all social media platforms. You can create squared content, portrait and landscape images, give them a professional look and save them in cloud storage for future reference. Instagram Stories is one of the best features that was added during the past few years on Instagram. It copied Snapchat but soon, it surpassed its source of inspiration and became worthy to be mentioned and tried by any marketer. Instagram Stories are great because they allow marketers to be spontaneous and true rather than spend their time designing a perfect visual. This happens because Stories are a type of volatile content that in normal circumstances is deleted after 24 hours. What can you share with Stories? 5 Advertise your podcasts on IG. A growing number of users are listening to podcasts nowadays. The demographic group that chooses audio content instead of the traditional text-based content is wide and includes both young audiences and adult audiences worldwide. Podcasts are becoming one of the main types of creative content due to the fact that these days almost everybody has a smartphone and that audio content is easier to consume while commuting from one place to another. It is also easy to consume audio content while you are engaged in another activity that does not allow you to pay full attention. You can promote your products or services with a podcast and at the same time, promote your podcast as a content marketing source for branding with Instagram. How? Create social media graphics in minutes. Create graphics for Instagram, Facebook, Twitter, Pinterest, YouTube and more. One of the best ways to conduct social media marketing is to engage actively with the audience. 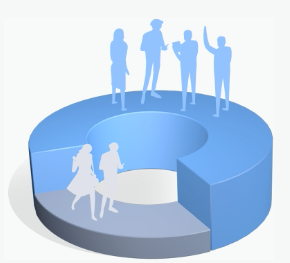 It will help you even more, however, if you let the members of these audiences become the main protagonists of your campaign. Let them be the heroes and, at the same time, save time and money with your creative process. User-generated content is beneficial not only in terms of saving resources. People will likely have more trust in their peers and their reviews. 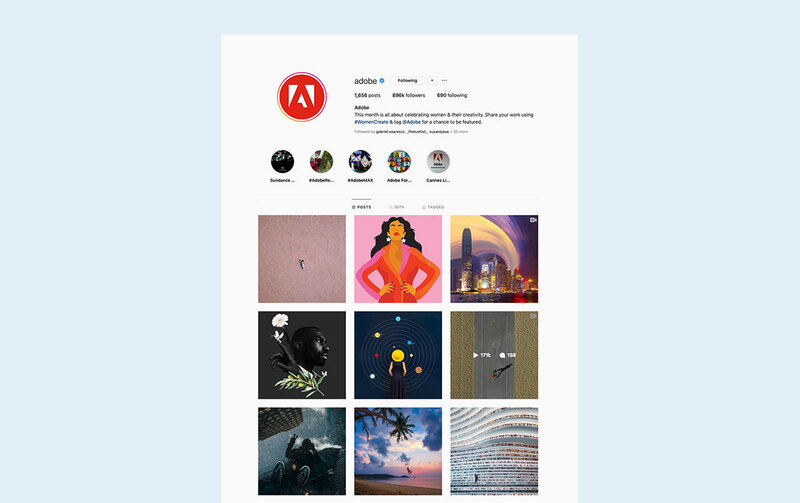 And when it comes to visual content, such as the one published on Instagram, they will trust their peers’ choices in terms of product acquisition. In this case, we’re talking about your products, of course. A great example, in this case, comes from the UPS Store. They have created a branded hashtag called #theupsstorecustomer, which encourages customers to post their own content and contribute to the company’s branding campaign. When you are trying to create a B2B sales strategy, you might need to understand that your products may not always be appealing as they are. UPS, in this case, advertises their cardboard boxes, packing tapes and other similar products that may be considered as dull. However, with user-generated content, these products become exciting through real-life stories posted by real people who use them. 7 Use Instagram’s Shoppable Posts. Well, it looks like I've saved the best for last. When it comes to products sales, a dedicated commercial feature seems to be the best option for a regular shop or even a B2B company. 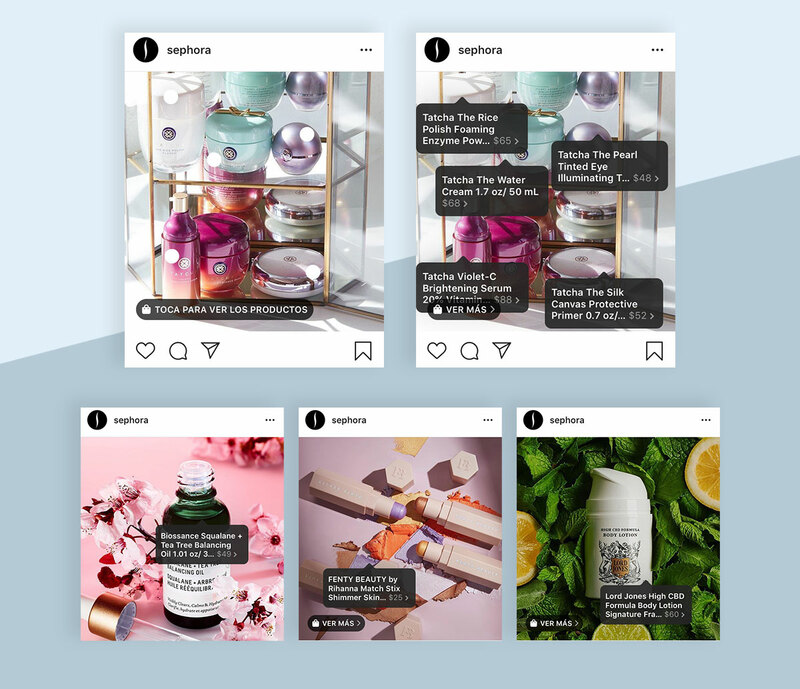 Instagram Shoppable Posts is one of the latest additions to the Instagram environment and is intended to make the platform friendlier for commercial brands, for stores, shops and B2B businesses. How to get started with this feature? What should you do? If you are located in one of the allowed countries (United States, Canada, Brazil, the United Kingdom, Germany, France, Italy, Spain or Australia), you need to first create a business account. We’ve already covered this topic at the beginning of this article. Then, you need to make sure you are selling physical goods that are compliant with Instagram’s merchant agreement. Finally, you need to connect your Instagram business account with your Facebook catalog. Therefore, if you don’t have a catalog of products on Facebook, you will need to create one. As a B2B marketer, things can get a little challenging when it comes to digital marketing but, as we’ve already seen in this article, Instagram is a great platform for showcasing products and you should use it regardless of your overall strategy. What other strategies are you using on Instagram to promote and sell B2B products? Visual marketer, blogger and content strategist at Bannersnack, a professional banner creation app for designers & marketers. Passionate about visual marketing, Instagram, content marketing, and always up-to-date with the latest trends.